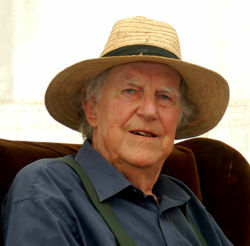 I met Sir Edmund Hillary at his house in Auckland, New Zealand on 20th September 1996. The words he told me at that time are still humming my ear at this moment of his demise. He told me “ Gyanendra, don’t try to stay here in New Zealand. Nepal needs you and your service. I am the president of New Zealand-Nepal Friendship Association, we already have 62 Nepali families migrated here, I don’t want you to become the 63rd of them”. On the northern corner of West Bengal state of India , there is a hill station– Kalimpong, which once hosted celebrities from all over the world. The hill town, where most of the settlers are of Nepali origin, no longer retains its old charm. But until a few weeks ago the last prime minister of a country—that has lost its independence—used to live here. Kazi Lhendup Dorji, who died on 28 July this year at the ripe old age of 103, had played a pivotal role in the merger of Sikkim into India. Nepal my motherland still cry’s, unable to comprehend the suffering of her children at the hands of her own. The cycle of political instability over the past two decade has pushed our country into a divided nation. The country is now riddled with divides at every level. Why? Who is to blame? All of us have our own opinions of where to point the fingers at when it comes to this chaotic situation but is it only the royal regime, the Maoist revolution,the corrupted politician or India always waiting to pounce it claws and stir instability or even the international community with its double standard ever changing policies.